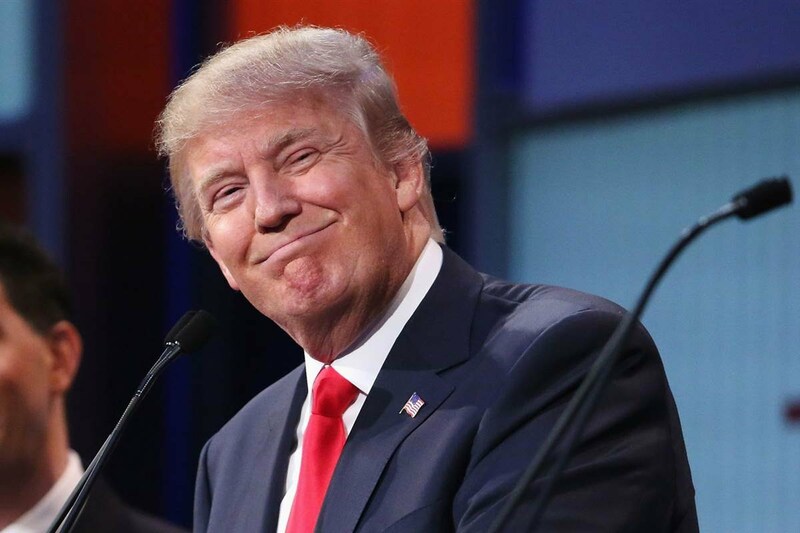 CaptainKudzu: Can Republicans put the brakes on Donald Trump? Chances to prevent Trump from winning the nomination exist, but are slipping away. So far insurgent businessman Donald Trump has been running away with the Republican primary elections. The question on the minds of Republicans is whether anyone can prevent him from becoming the Republican nominee for president. As the nation moves toward Super Duper Tuesday on March 1, there are important differences that may act to narrow the race and put the brakes on Trump. The first game changer is the departure of Jeb Bush. Marco Rubio is expected to be the primary beneficiary of Jeb’s departure since the two were competing for the same pool of Republican voters. If the combined totals of Rubio and Bush from South Carolina were applied to Rubio, he would have been in a near tie with Donald Trump instead of Ted Cruz. This may have resulted in Rubio winning some delegates, which were apportioned by congressional district in South Carolina. The second game changer is that that the nature of the primaries changes on March 1. Up to this point, second tier candidates could stay in the race and reasonably hope to win delegates because most of the primaries were based on proportional representation. If you won 10 percent of the vote, you won 10 percent of the delegates. On March 1, that changes. Thirteen states are holding primaries and caucuses on March 1 and 10 of these states have a minimum threshold for a candidate to receive delegates. In most cases, the threshold would mean that John Kasich and Ben Carson would be unlikely to receive any delegates from most states even because they are polling at less than 10 percent. Massachusetts is the only state with a threshold less than 10 percent and Virginia has no threshold. These and the caucus states of North Dakota and Wyoming are the only states where Carson and Kasich have a chance of winning a single delegate. After March 1, they will be hopelessly behind and will probably drop out. As the field of candidates dwindles, Cruz and Rubio have more to gain than Trump. An NBC News/Survey Monkey poll in early February asked about the second choice of Republican voters. Cruz and Rubio were the top second choices of most Republicans. Specifically, Rubio was the strong second preference of Bush and Kasich voters while Carson voters split between Trump and Cruz with Rubio running a close third. While the poll includes several candidates that have already dropped out and is slightly dated for such a dynamic election cycle, the indication is that Rubio would have the most to gain as more candidates drop out. Trump’s weakness may be that in most cases he is restricted to about a third of the vote. Roughly two-thirds of Republicans have consistently voted against Trump and Real Clear Politics polling shows that this seems to be holding true in most upcoming primaries. For the first half of March, Cruz, Trump and Rubio could be in something close to a three-way dead heat. On Super Tuesday, March 15, there is another shift. Many primaries after this point are winner-take-all. The big prizes are Florida, Illinois and Ohio. It is fair to assume at this point that Trump will take these delegates. In another Super Tuesday primary, Missouri is winner-take-all if a candidate receives more than 50 percent. If not, delegates are awarded by congressional district. This may be similar to Trump’s sweep of South Carolina in which he lost some counties and precincts, but won all congressional districts with less than 50 percent of the vote. The key for Rubio and Cruz will be to seize the momentum from Donald Trump on March 1 and win large shares of delegates in the Super Duper Tuesday states. If they can make a strong enough showing to take away the sense of inevitability surrounding Trump then they may be able to build enough support to deny Trump victory in the winner-take-all states, including Rubio’s home state of Florida, beginning on March 15. The ultimate winner of the Republican nomination must win a majority of the 2,470 convention delegates. The magic number to clinch the nomination is 1,237 delegates. To put that in perspective, Trump currently has only 81 delegates after the Nevada caucuses, six percent of the requirement. Another 565 delegates are at stake on March 1. Rubio and Cruz appear to be evenly matched with Rubio holding a slight lead in many states. The combined total of Rubio and Cruz votes is greater than Trump’s share, but it is apparent that the two are splitting the conservative, anti-Trump vote. Either would probably beat Trump if the other were to drop out, but with both in the race it is difficult, if not possible, for either to gain the advantage. At this point neither seems likely to drop out. If neither Cruz nor Rubio is able to win the nomination outright, they may still be able to prevent Donald Trump from winning a majority of the delegates. With more than half of the states distributing delegates proportionally, splitting the delegates between the three frontrunners may mean that Trump doesn’t have the required number of delegates even if he wins most states. For example, Ted Cruz won the Iowa caucuses, but the victory margin was so slim that he only received one more delegate than Trump and Rubio. Also making things more difficult for Trump is that not all delegates are up for grabs. Most delegates are bound by the results of the state primary, but a small number of delegates are unbound and free to vote for the candidate of their choosing. If the delegate race is close, the unbound delegates might be a deciding factor. The winning campaigns get to choose some delegates, but others, often party officials, automatically have delegate status. These unbound delegates would probably not vote for an insurgent candidate like Trump. An additional wrinkle in the nominating process is Rule 40. Rule 40 requires that a candidate win at least eight states. At present it appears that this requirement would be more of a limiting factor for Marco Rubio and Ted Cruz. This rule was amended by the Romney campaign in 2012 and may be amended again prior to the 2016 convention. If no candidate wins a majority of the delegates, the result would be a contested convention. In a contested convention, no candidate is nominated on the first ballot. Depending on state rules, delegates are then released to vote for any candidate and the cajoling starts. Additional votes are taken until someone is able to claim a majority. A contested convention would most likely favor Marco Rubio although it wouldn’t have to nominate one of the declared candidates at all. With Rubio’s support from other elected Republicans and Cruz’s antipathy toward other Republicans, Rubio’s campaign would probably fare better in a contest of coalition building. Whether Republicans can put the brakes on Trump is an open question at this point. The March 1 primaries are unlikely to settle the issue. If Trump wins high percentages of delegates on March 1 and sweeps the winner-take-all states beginning on March 15, it will be very difficult for Republicans to prevent him from winning the nomination. Read and comment on this article at Conservative Firing Line and Freedom Daily!